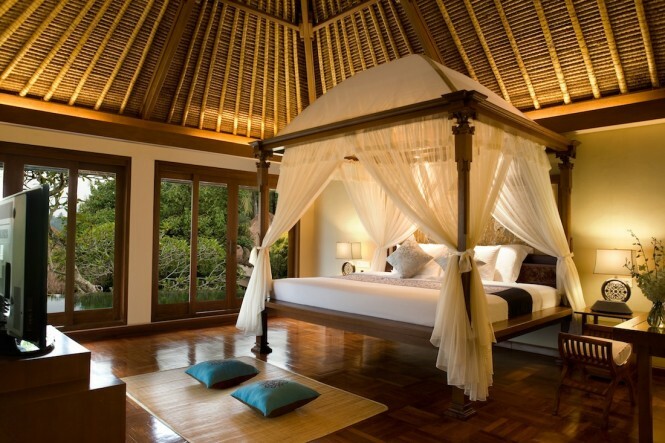 Gauzy white fabric drapes a four poster bed in a pool vila. 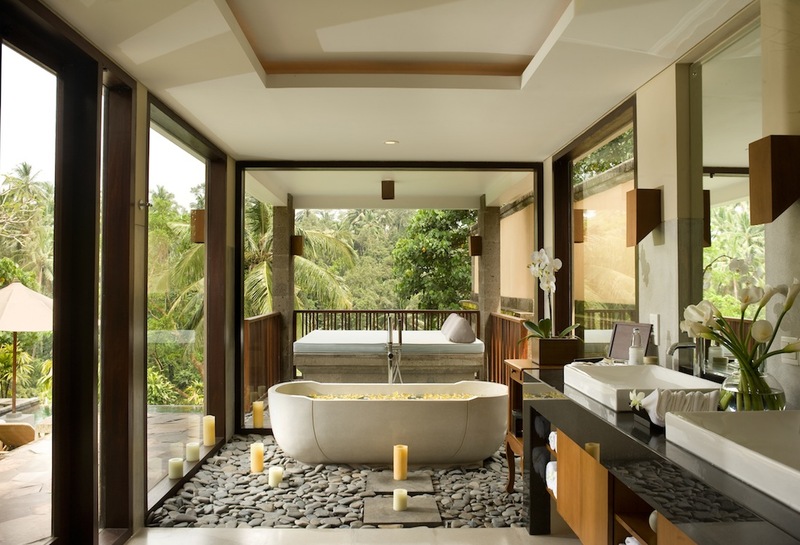 Views of Ubud Valley from a deluxe pool villa. 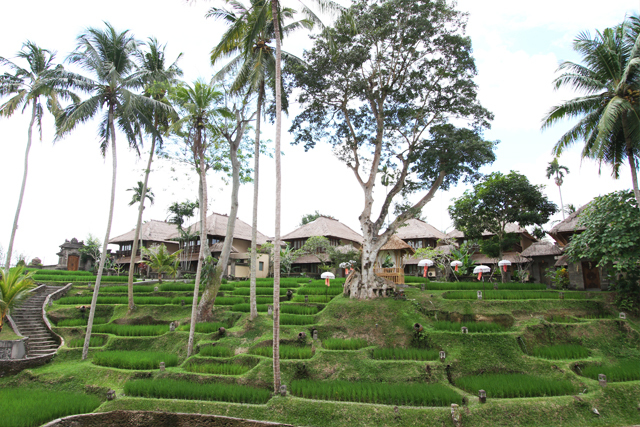 The hotel's 58 villas are spread amid rice terraces. Javanese and Balinese culture influence the new lobby building. Indonesian culinary ambassador William Wongso contributed to the menu at Petulu restaurant. The Kamandalu Ubud is a property steeped in Balinese tradition. Originally opened in 1992, the four-hectare property spaces 58 villas along the Petanu River, staggered among verdant rice terraces. 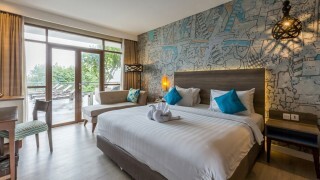 The Kamandalu has recently undergone an extensive renovation of its facilities, along with the addition of new structures. Among those is a new lobby influenced by the design of Javanese keraton palaces and the sloping thatched roofs of traditional Balinese homes, and a yoga villa overlooking the Petanu river. 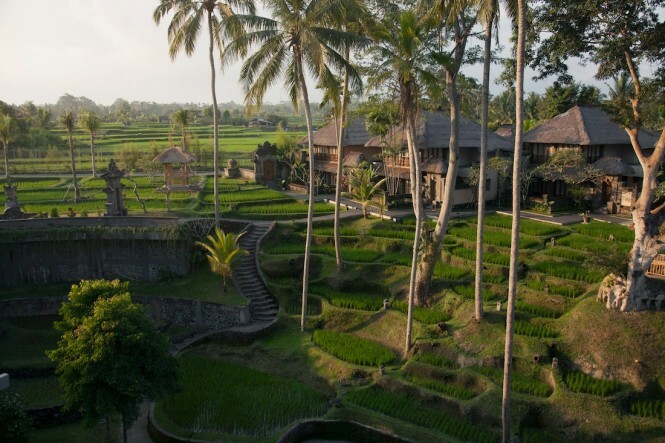 The hotel’s 58 villas are spread amid rice terraces. The Look: Guests now enter the property through the airy lobby building, featuring creamy marble floors and dark wood panels carved with scenes from Balinese folklore. Designed by Indonesian architect Hadiprana, open-air verandas offer views of the resort’s alang-alang grass rooftops and infinity pools set into sloping rice terraces. Indonesian antiques from the resort’s owner decorate the interior, including a priceless ebony tree statue of Hindu goddess Dewi Saraswati. 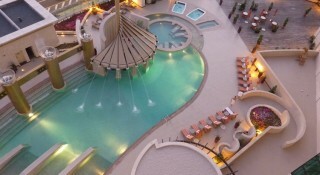 From here, wood railings and pebble walkways connect to the rest of the resort’s facilities, like the poolside dining venue Aira Café and the Alun Alun wedding pavilion. Javanese and Balinese culture influence the design of the new lobby building. The Rooms: Each villa is ensconced within its own gated confines housing bale bengong or gazebos draped in gauzy white fabrics and private gardens. 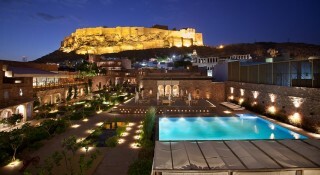 One-, two-, and three-bedroom villas feature sunken bathtubs and outdoor showers with circular infinity pools. Enjoy butler service for all pool villas along with access to the Village Club, where guests can experience private lounge check-in and complimentary refreshments. 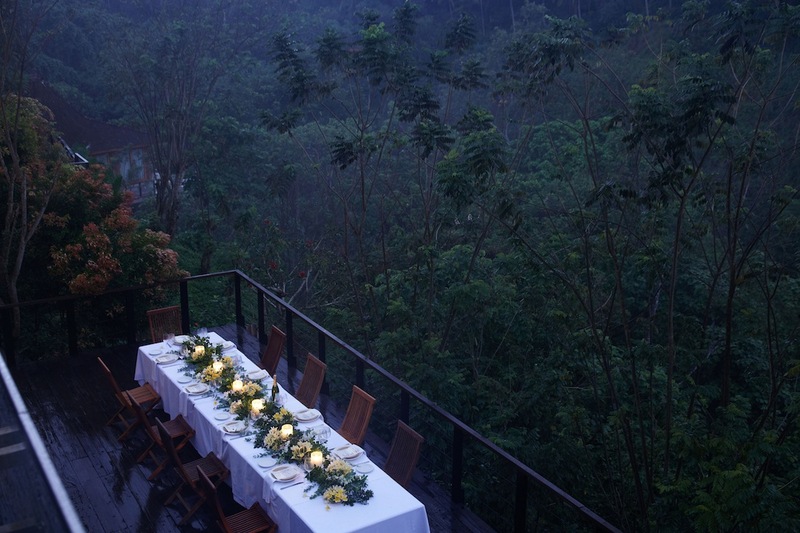 From every villa, witness the verdant surrounds of the Ubud Valley. 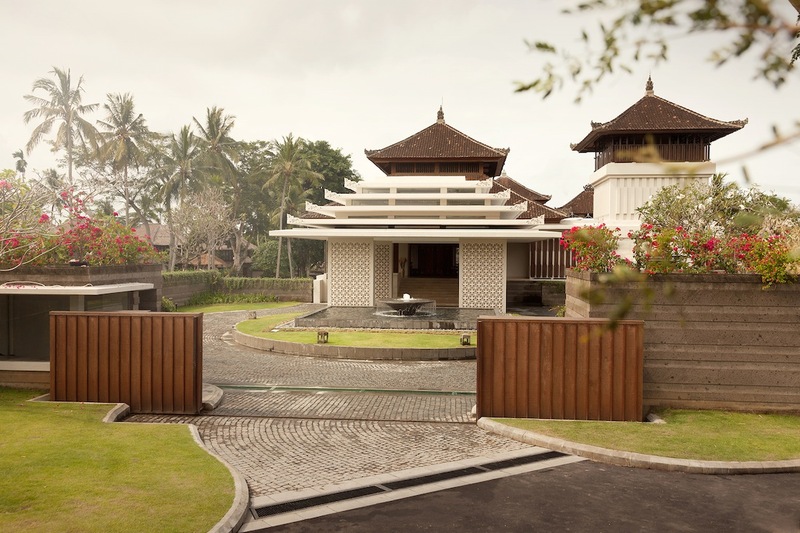 The Appeal: As part of the resort’s new wellness initiatives, the Kamandalu has launched its own dedicated yoga villa called Rumah Yoga. Local teachers from Ubud lead complimentary classes daily for all skill levels and private classes for those looking for more intricate instruction. For Indonesian-influenced wellness treatments post-workout, try The Chaya spa, specializing in traditional services like boreh body wraps and Javanese scrubs. 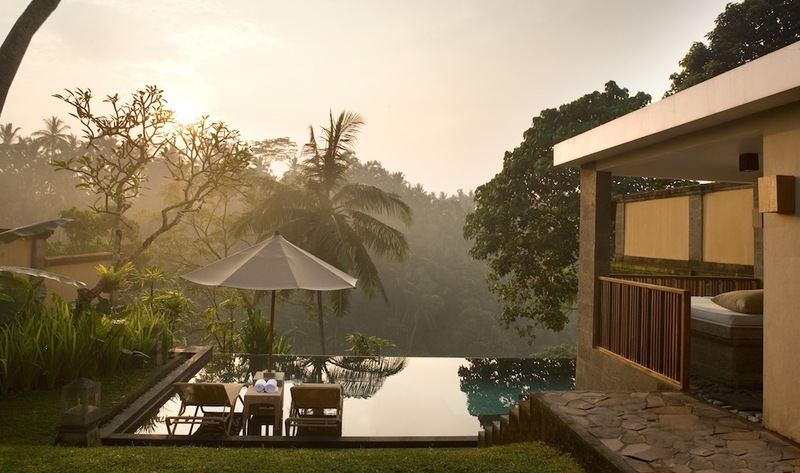 The Surrounds: Just over an hour from Bali’s international airport and a ten minute-drive from the center of Ubud, the Kamandalu is a prime base from which to discover the sleepy mountains of the island. 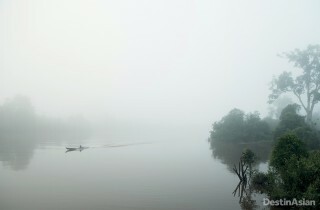 Taxis, cars, and limousines are readily available when setting out to explore, but opt to rent a bicycle to catch more of Ubud’s natural beauty. 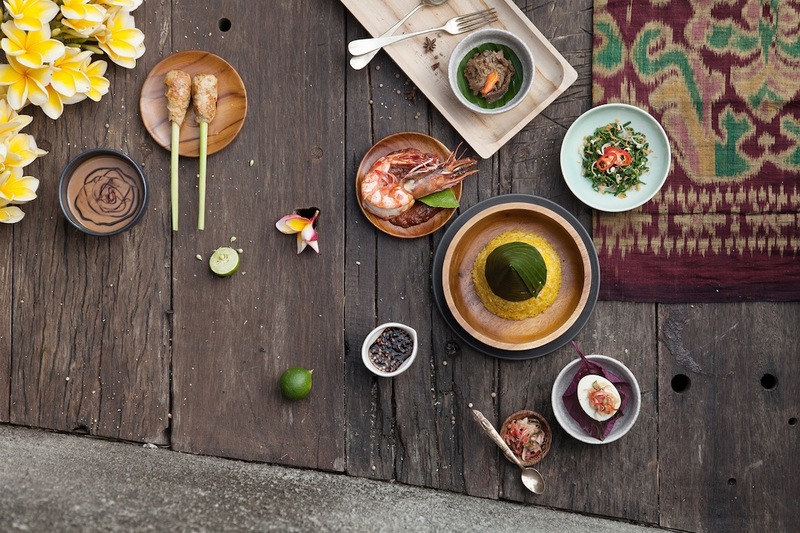 For those in the know… Local culinary ambassador William Wongso consulted on the fine Indonesian dining served at Petulu Restaurant. From tender beef rendang to satay to fragrant yellow rice, the award-winning restaurant sources much of its produce locally from nearby farms.